Sadly, the scouting movement in America has become a very different institution from what its founders envisioned. Within recent memory, the Boy Scouts of America (BSA) has besmirched its reputation as a reliable organization for the formation of young men by allowing open homosexuals and even so-called “transgenders” to join its ranks. In reaction, many parents pulled their sons out of the Boy Scouts altogether or moved to alternative programs such as Trail Life, Boy's Brigade, Troops of St. George, or Call to Chivalry Camps. 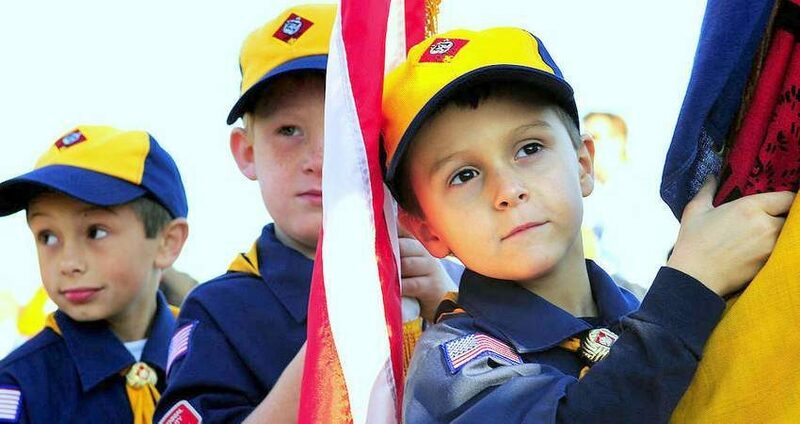 Nevertheless, the Boy Scouts have introduced a plan to allow young women to join their ranks. In a news release published on October 11, it was announced that there will be girl Cub Scout units, and by 2019 the Eagle Scout program will be available to women as well. The decision was unanimously made by the board of directors of the BSA. An interesting element of this move is that the National Organization for Women – the same radically pro-abortion, leftist catch-all group that put on the notorious Women’s March in Washington, D.C. – used the case of a young woman named Sydney Ireland as leverage to pressure to the Boy Scouts to admit girls. The argument used by NOW president Terry O’Neill illustrates the domino-effect of the cultural revolution in no uncertain terms, “Women can now hold all combat roles in the military, and women have broken many glass ceilings at the top levels of government, business, academia and entertainment. It’s long past due that girls have equal opportunities in Scouting” (the existence of parallel institutions for men and women did not meet her definition of equal opportunity). This revelation, combined with the fact that the Boy Scouts have been hell-bent on pushing forward bizarre, morally-bankrupt policies in spite of hemorrhaging membership, shows that the Boy Scouts leadership are pushing for leftist social “change”. The decision to welcome girls in the Boy Scouts does not only concern families who are involved with the scouting movement. It affects the very fabric of society. Regardless of what one may think about the Boy Scouts, they are an important facet, historically and culturally, of American life. Their most recent sellout to the cultural revolution is a symbolic landmark in the erosion of the institutions central to this nation. There is a concerted effort to destabilize the United States at home and abroad. In spite of her numerous faults, America still represents a bastion of conservative values in the world. The so-called progressive movement will celebrate the total destruction of the "boy" within the Boy Scouts. Ultimately, the architects of the culture revolution will not rest until all natural differences between boys and girls are erased or destroyed. Will the Boy Scouts now change their name to PC Scouts or Genderless Children?